Internet group Yahoo says it has been ordered to pay $2.7bn (£1.68bn) by a Mexican court. The reported ruling follows a lawsuit stemming from allegations of breach of contract and lost profits related to a yellow pages listing service. 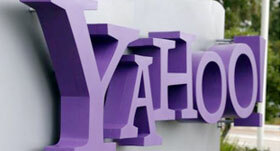 Yahoo said it “believes the plaintiffs’ claims are without merit and will vigorously pursue all appeals”. The lawsuit had been brought by Worldwide Directories SA de CV and Ideas Interactivas SA de CV. In a statement on its website Yahoo said the 49th Civil Court of the Federal District of Mexico City had “entered a non-final judgment of US $2.7 billion against Yahoo! Inc. and Yahoo de Mexico” in the case. Shares in Yahoo, which is based in Sunnyvale, California, fell by 1.4% in after-the-bell trading following the news.